"... Los Lonely Boys deliver one of the project's most stirring numbers, a greasy, gritty take on Born On The Bayou ... elevates an oft-played song into something fresh and more personal." Creedence Clearwater Revival sometimes sounded like a damned good Latin band ... Quiero Creedence is a brilliantly conceived and executed collection of Latin artists expressing their appreciation for CCR ... the collection offers a few genre-specific remakes, as well as a few artists who step outside their comfort zones ... exemplifies the power of a great song to inspire, not through note-for-note homages, but with creative reimagining." 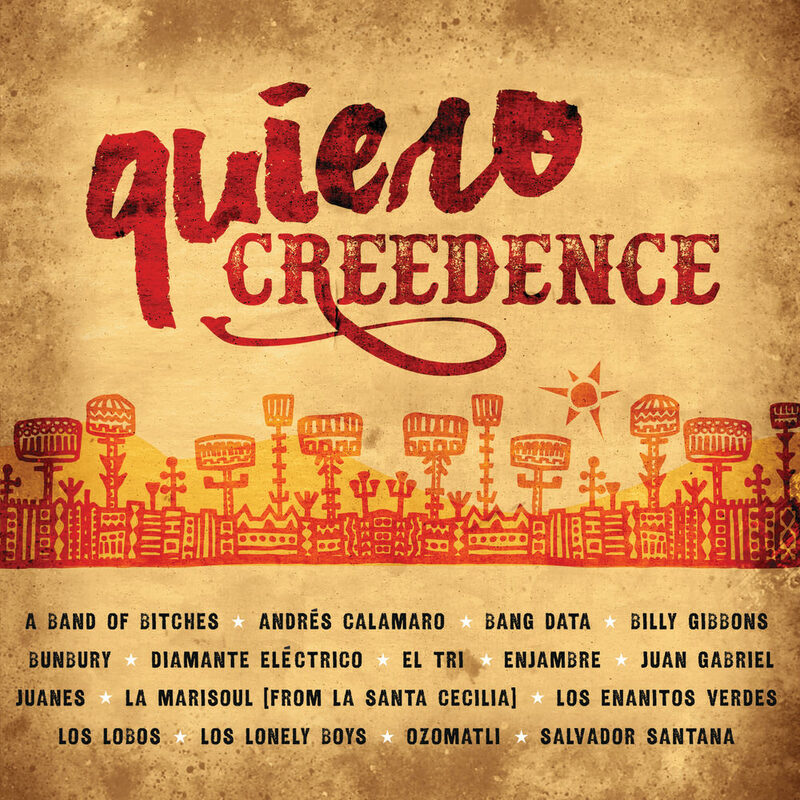 This Latin-inspired, multilingual tribute to Creedence Clearwater Revival features covers of the band's greatest songs, reimagined by some of the top Latin artists from around the world including Los Lobos, Los Lonely Boys, Ozomatli and La Marisoul with ZZ Top's guitarist Billy Gibbons. The lead single from Quiero Creedence is Mexican superstar's Juan Gabriel’s Spanish version of Have You Ever Seen The Rain?, the first cover Gabriel has ever recorded.